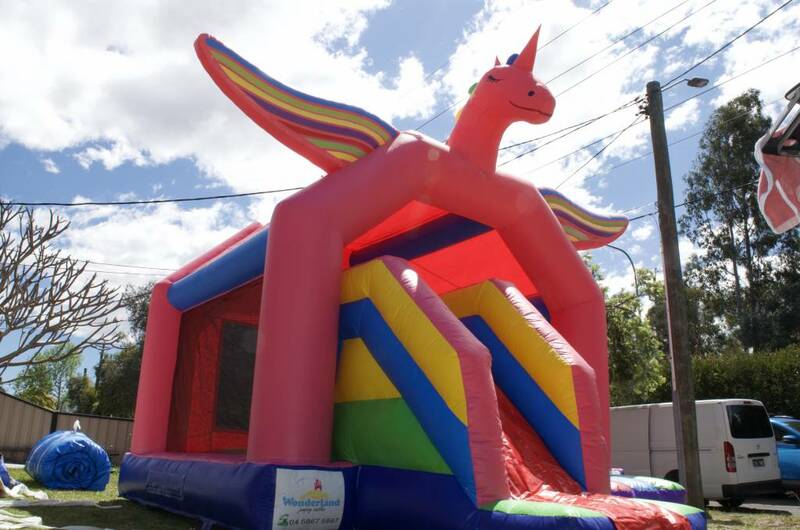 The Unicorn Jumping Castle and Slide is a popular castle for girls of any age. They will escape for hours to their magical land of rainbows, unicorns and fairies, hopefully long enough for you to have a coffee break once the party is over! It measures 5m long, 4m wide and 4m tall. It is a covered castle, protecting your children from both sun and rain. 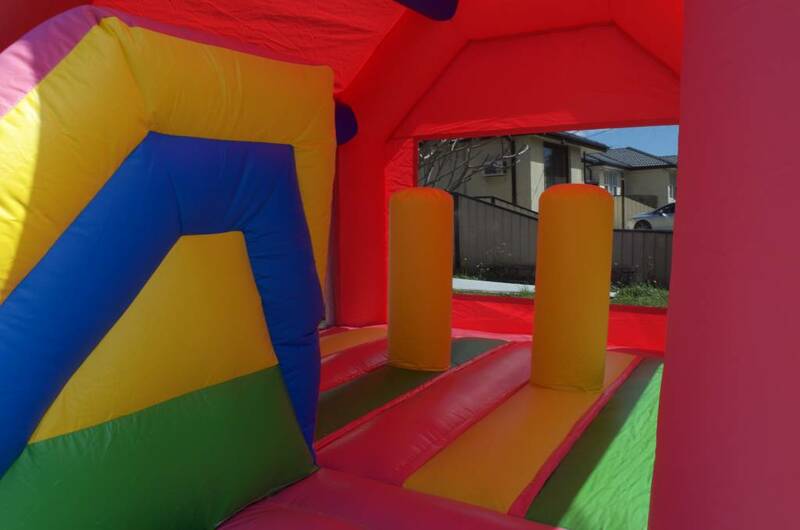 The slide will provide entertainment for hours with endless circles as your children chase each other around and around.